“Ask the Mayor” town hall inspires little confidence for stopping the rising youth murder rate in Seattle. The Mayor’s response, although sincere, seemed to echo sound bites from the City Council address, “pre-K education, neighborhood policing, jobs for the area.” In other words, we’ll keep the status quo; nothing to see here… move along people, move along. Mayor Murray went on to say that he is seeking input from other mayor’s outside of Seattle, looking for ideas on the best way to curb the violence. Again, genuinely seeking answers to the problem of continued violence and record youth murder rates over the last 3 months. But the idea of soliciting voices from other city mayors caused some in the crowd to wonder why we are asking for advice from those outside of the city while failing to engage the community itself on the issue of a Department of Inner City Affairs. Sounding like a man of action, the mayor promised a “complete assessment of crime prevention programs targeting and helping 18-30 year olds.” However, even those involved in these existing programs admit this “assessment” is just a rehash of the previous mayor’s ideas and opportunity to increase funding of already operating programs; successful in reaching some “at-risk” youth, but doing little to reach those who are responsible for the rise in violence and murder. 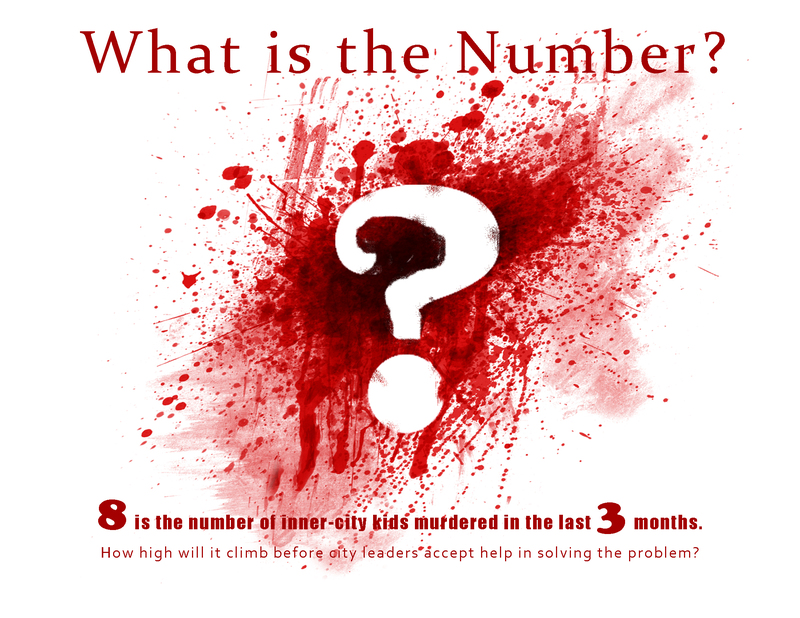 Neither the Mayor nor the Council members grasp the fact that the kids involved in the recent violence and murders are not being reached by existing programs. For city leaders to think that the kid who was arrested for shoplifting and is now painting murals with the city’s violence prevention program has the same mentality as the kid who shot at another youth in front of the mini-mart because he was “disrespected” or is “doing-dirt” to get a name for himself… to think these kids can be reached in the same manner and with the same program shows how far removed the Mayor and this City Council are from what is happening at street level. The Mayor and the City Council don’t understand that there is a sliding scale on the at-risk spectrum; and that the needs, wants, and desires of at-risk youth change from one teen to the next. Despite making for good headlines, the rehashing and increased funding of the same old departments will make no significant progress in stopping the rise of violent crime and murder in the Central District and Rainier Valley. Those affected by this violence are demanding more substance and fresh ideas. The Mayor says he wants to “change the narrative” in how the neighborhoods and public safety officials communicate; but so far, critics say there they’ve seen no real blueprint for how the city plans to do that. What the Mayor appears to be saying (or at least thinking) is that there is a one-size fits all “at-risk youth” demographic, which is being taken care of by the programs already in place. One thing everyone agrees is a positive is that the mayor’s plan does continue the relationships previously established by former Mayor’s Nickels and McGinn, such as partnering with the community, local businesses, local sports teams, and faith-based organizations to discourage the “no-snitch” code” and build a more trusting relationship between these communities and public safety officers. These programs should be celebrated for the good that they do; but the Mayor needs to understand that there is a component missing; and that piece is filled by the Department of Inner City Affairs liaison position. The previous Mayor, Michael McGinn had a very high level of respect within the Rainier Valley and Central District communities because of his heavy involvement in youth programming and innovative approach to working with inner city community youth advocates. 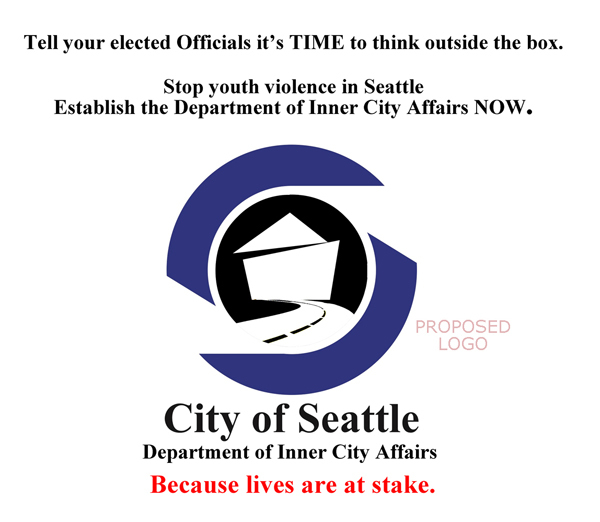 However, if even under Mayor McGinn the programs were unable to reach the youth responsible for the increase in violence and murders. Why then, would Mayor Murray believe that somehow the results of these programs will change now that he is at the helm? Does he know something that those living in the community for generations don’t?